I wanted to take the time to write a “lighter” post because I think Iowa is maybe in the clear for lighter days? I pray so, anyways. I’m a summer girl and live for the warmer weather. I can’t stand being cold. And so far I think we’ve been transitioning decently, at least compared to other years! How are all of you doing? As always, I’d love to hear what’s going on in your lives and any thoughts or requests you have for me, whether that be blog post ideas, prayer requests, etc. So please do reach out to me and let me know! I have a couple things I want to share with you all in this post, and I’m excited about all of them and about the things I’ll be doing in terms of writing this summer, when I finally have nothing but time. The good thing about my classes this trimester is that I’m taking a few English courses, so I’ve been getting to write and develop new stories, and it is so cool for me personally to see how God helps me write based on past experiences, emotions, and lessons He’s taught me. Oh, and hockey also ended on Saturday. :( October is way too long of a wait for me, but our Iowa Wild actually made the playoffs this year! I already miss it, though. I have so many pictures to show you all from hockey, but I’m going to save them for future posts where I’ll write all about it. If you can’t wait (because I never can), you can read this post about hockey here or this one where I talk about lessons you can learn at a hockey game. My advice for these final months of spring is to take the pressure off in life. I have heard so many stories over the course of this year of the stresses people feel they have to take on, and I am no exception to this, but please really take the time to be still and know God—a reminder and verse I need to hear constantly. It is so important for your wellbeing to do that. It’s really not His will for us to be stressed and depressed all the time. There are of course medical reasons for that in some cases, but for people where it’s not, it’s really a matter of attitude. It can be so hard to have a good attitude in some circumstances. Journaling has honestly been what God uses to save my life throughout the past couple months. I learn things, then I regress, then I relearn things. Such is life. But without looking back at what He’s done, I probably would still be on the same path, bound to chains He’s freed me from. I’m trying to remember those things and learn from them, even when I don’t “feel” it. He is teaching me more than I ever dreamed that way. Even with the pain I feel, there have been times I’ve been so upset with why I have to feel pain, but one way God has shown me He’s used it is through some of my writing. Some of the scenes for my stories have been wrote when I feel the most upset, and it provides both me an outlet and the story a real, raw glimpse of pain. And that is what He can use to resonate with people, to relate to them and reach them. This is also something I will be blogging about more. I learn so much through journaling, and so many of my thoughts go into that. I’d like to start posting some of those entries on my blog. Of course, since it’s essentially my diary, I’ll have to filter some of it. ;) But most of it can be shared. I think there’s no reason to keep it to myself, not when God has given me the ability to write and the insight I need to know Him more. So stay tuned for that! I have some blog post ideas I’ve been promising forever and that need to be wrote, but once I do some of those, I want to start posting more of those thoughts from my journals. I ended up finishing one of my whole journals just from using it consistently from the beginning of the year. Seriously, without it, I’d lose my sanity. Now… I have a few questions for you all that I really want you to answer. They’re just super quick polls, one word answers you can select, and you don’t have to tell me your name or anything. Unless you want to comment, which I would so love. ;) But I’ve been reading some more stories on Wattpad, which is just where people can publish some of their writing like short stories. I’ve been writing a lot of stories for this creative writing class, and if you all would be interested, maybe I will post some (here or on Wattpad), and continue some of them into stories I write in my spare time. So, are you interested?! One more question if you all would be so kind to entertain me… I know I asked this on my reader survey (which if you have not already, COULD YOU PLEASE TAKE HERE? ), but I’ve been considering social media things and want to know which platform you receive updates from this blog on. Unfortunately, that’s all I have for you today. But I really am serious when I say I love hearing your feedback, and if you have not taken my reader survey, it would mean so much to me if you did!! Just click the button below! I know every person in the world, just about, has done the cliche new year posts from blogging to social media, and one thing I have tried to be conscious about when doing mine is to always keep it centered on Jesus. While it is just another year and there is no need to be worked up about it beyond what is healthy, I do think reflection is crucial. And this brings about the perfect opportunity to share everything God has done and taught me in 2018. It’s not all about recapping trips and career milestones like some seem to think it is, because while those things are fun and should be shared, there is a lot more to someone’s year than that. And I sure hope that many are not just living for the good times, because it is only through being present in the bad times that you can grow as a person, with God, which is the ultimate goal for any of us. 2018 was a stressful year. Oh, I loved and enjoyed so many parts of this year, but no year is without pain. As long as we’re in this sinful world, that is normal. But the key to that, I’ve found, is to be PRESENT in it. And by being present in it, I don’t mean simply enduring it. Plenty of people endure pain, but they never think about it. They try to cover it up with the good times or choose to ignore it. But we need to be present in it and what pain is telling us. There are so many essential things in life—joy, peace, intimacy with God, to name a few—that very clearly can be learned through pain and really no other way. Pain provides the foundation for growth if you listen to what is happening through it and choose to think about what God is allowing through it. I had plenty of opportunities for that this year. But I know I have been made stronger for it, as well as others who have gone through pain, and that is a beautiful thing to see. I would like to share that with you through this post as I recap each month (I promise I will try not to make this post a book and will instead link back to other posts you can read at your own time, if you wish). It was especially cool because I consistently grew throughout the whole year. In 2017, it seems I fluctuated a lot, but this year each had its own season, and I’m thankful for that. I’ll also share some of my favorite moments from this year and some new projects God helped me work on and, lastly, share a few goals for 2019. As always, I want to hear about you all as well, so if you have anything about your year or something you want me to pray for, please let me know! Without further ado, let’s recap 2018! The year began with me halfway through my freshman year. I took a long break from blogging towards the second half of 2017, which led into the beginning of 2018, so I don’t have any posts to link back to. I do remember, though, the struggles of freshman year it seems I fought a lot, with hormones to restlessness to anxiety struggles. While I was not thrilled about starting the year that way, I actually think it’s better to be broken because that is when God can help a person become better than even before. I know that was definitely true for me as the rest of the year unfolded. I also started an online college course I was thrilled I got to take, about current events in the world. I loved the broad scope of the topics learned, and it opened my eyes immensely to the complex problems of the world and how there’s not an easy solution like we wish there would be, but with God, all things are possible, and no situation is without hope, thankfully. Sharing Him is always what’s most important. I had to learn not to worry or get overwhelmed about things that aren’t here yet. I have to rest in God’s good plans for me now and focus on the things in front of me now. Time always comes sooner than I think—high school certainly did—and so just enjoy right now. Hanging out with my cousins at our grandparents’ house. We have “our” own little room upstairs that we hang out in, watch random things on TV, and just hang out. I always laugh a lot, which throughout the year I learned is so important, and enjoy that time together a lot. Staying up late with my grandma and cousin Kirsten on the phone, tormenting her because we won’t let her go to bed. ;) And then Kirsten and I sharing our fave songs with each other and blaring those. It’s also hilarious to hear the things that come out of Grams’ mouth past a certain time of night… And the poor thing doesn’t understand double meanings of things in this society where people pervert things, and given the right context, she has said some absolutely hilarious things as a result. Again, I still hadn’t woke up from my hiatus with the stress of high school and my own anxiety problems at the time, so I did not blog throughout this month. I turned 15! We went to our first hockey game of the year—love those. We got to go down on the ice afterwards, for some event they were holding where they let the public skate on ice. Hunter brought his skates; I attempted not to fall and kill myself. Thankfully, I was successful. Our dog, Willy, had a near-death experience I witnessed, which did not help any anxiety I had and almost became a contributor to the year’s stress, but praise God he was okay. I’ll write about it sometime when I recap more about Willy’s life. I had to learn to just be a kid at times. Being extremely sensitive, I don’t respond well to conflict or when circumstances and changes come up with my family. I never have. It’s not that I respond poorly in the sense of my reaction, it’s just that I feel distressed and powerless when things like that happen. A lot of things happened this year like that. February brought the beginning of that. But I remember, amidst uncertainty about what may happen with something and my anxiety as a result, I actually FaceTimed my cousin, Kir, and had fun just talking to her about our inside jokes and the not so serious part of life. I think I needed that. I think I needed to know I was capable of putting adult, mature problems on hold to just act like a kid. Kids don’t worry about family problems. And this can be good or bad, because I do think A LOT of kids need to learn to care more about other people, especially their families, but when it’s excessive and you can feel like you have to put your own life on hold, like I felt, that’s when I had to learn to release what I can’t control. I can’t control other people and their decisions. I can’t control the consequences. And I should not have to. God has promised to take care of everything, and the reason some people have extra problems is because they interrupt His work. I reached out to a Christian leader I had respected for some time from hearing his personal testimony of living a reckless life that resulted in tragedy for himself and other innocent people but how through it God changed his life. I sent him an email telling him about my faith and how I admired his story. He also provided me with some valuable insight for my current book and was overall sweet, genuine, and godly. He is a living example of how seemingly lost people can be redeemed and live productive lives in society for the glory of God. Amidst researching colleges (as only a freshman, yes, but I love making plans and knowing my direction, so I was very eager to jump on my college search), I was considering both Christian colleges along with secular, public universities. I became worried about even considering those because of the potential things they may teach contrary to living for God since they don’t have that faith distinction, but then I realized—and really, have long known this since it’s true for me now in high school—that the way to “remain” a Christian (I mean staying dedicated to God and am not talking about salvation), then it does not matter where you go. Knowing God is just like any other relationship that you must invest in daily, and as long as you focus on one day at a time, doing what you can to live for God, that is enough, and no one can take that from you. Back in December when I went to my annual eye appointment, I was told I could get glasses to help with eye fatigue and another minor defect I had. I love the frames I got, which arrived this month. Sometimes I like wearing them just for fun. ;) For spring break, I got to spend time with my grandparents in Estherville, which I always love. There were times this month where my feelings of loneliness and sadness intensified, leaving me to struggle with even the basic truths I took for granted that I had thought, such as that people cared about me. Of course I knew intellectually that people cared about me, but going to school day after day amidst people who share such vastly different life goals and feeling so out of place as a result, it was easy to forget that truth and just listen to my raging emotions and the lies from the devil. I remember, though, specifically: I was on my way to my PE class—and I don’t know why, but I was deeply upset about something pertaining to school and my peers, and I remember doubting my worth again. But I had also just gotten a message from a girl I keep in touch with online and is a complete sweetheart who also loves Jesus and has been encouraging me with my dreams for Him since I was really young. And I remember the way she ended that message was by telling me that I am loved, even though she had no idea about my feelings. And as I walked into that locker room to change, I remember that dawning on me specifically and reclaiming that truth. You are loved. Never let the ugliness of the world make you forget that. Don’t let feelings of despair overrule. Speaking of PE class, I also learned the importance of exercise on mental health and overall wellbeing. Okay, I remember looking ahead to my last trimester of school and being terrified for PE class because my time in sports left me feeling insecure about my athletic ability, and I just wasn’t looking forward to having to do activities for it. Well, PE ended up being my favorite class that year. The mental strain of my other classes left me counting down the hours until PE, where I could run and enjoy being active without pressure or worry of deadlines and other projects. I also regained my confidence in my athletic ability by playing team sports like volleyball and other fun games (normally I hate games, but I thank God I had friends in my class that made it fun). During PE we got to lay down on the mats for twenty minutes to track our resting heartbeat, and it was so nice because I could just pray and talk to God about life, about everything. It was so special. I’m beyond grateful for our relationship. In school, I took a practice college entrance exam, which was exhausting, but I was glad to have the practice. But I started blogging again!!! Read my first post back here. I also shared some of the life lessons I learned while being away so long (read here). I remember during this time how society seemed to be in upheaval about many complex social issues, ones that especially touched on morality. I wrote about how sometimes it’s okay not to have all of the answers and how we ultimately need to rely on God in those times (read here). I also recapped the spring break with my grandparents and how memories like that never fade here. And lastly, I opened up about my struggles with anxiety and everything I’ve learned to help me cope with it (read here). I had to learn how to find peace from feelings of sadness and despair. On a note in my phone, I wrote how it comes through reflecting on who God is and the wisdom He’s trusted me with. From getting real with Him and knowing that He doesn’t expect me to have my act together before I come to Him. From praying just whatever is on my heart, the dumb desires or things I’m too ashamed to ask for out loud. He understands and He is so good to me. I’m writing this so I can always remember that. Going shopping for my birthday with my mom. We went to Jordan Creek together and ate at a hotel we had stayed in the year before, and though we had to spend literally an hour at American Eagle just to buy three pairs of shorts (trying things on is so fun!!!!! ), I also got some other fun things at my other favorite stores, and it did get me in the mood for summer with all of the wonderful spring fragrances and styles. Mom and I also discovered a wonderful new ice cream place at Jordan Creek because we had to go back to the mall even after spending an hour at American Eagle because one of the jeans didn’t fit. Hey, it’s shopping, who am I to complain? We actually had some spring storms, which I love, except one time we actually had a tornado warning and my brother and I went to the basement. I don’t think it was very serious for us, but one thing that is serious is how many notebooks I have as you can see… I don’t bring things down into the basement like I used to as a kid, but I do bring things I can’t replace, and I’m thinking I really need a new system of organization for my five thousand notebooks… I also got a free trial of Photoshop! I love web design, so it’s about time, right? That’s typically top of the line in commercial design, and it’s very expensive as a result, but I was shocked to see that they offered a free trial that didn’t even require entering billing information. It was overwhelming at first for me, but I watched some tutorials and just learned how to do one thing at a time and actually made some cool things with my short time having it, like my signature at the bottom of this post ;) In terms of blogging, I wrote a comprehensive blog post about my grandparents’ hometown and how it is so dear to my heart because of them (read here). I also wrote down my observations about life learned from shopping, which I did plenty of thankfully because shopping makes me a very happy girl ;) (read here). Lastly, I shared some of my thoughts on morality and why I believe it needs to be emphasized (read here). Going to Slumberland with my mom and having fun browsing and picking things out. It made me dream about my future house (that is going to have a king sized bed; I actually saw one in person haha and they look wonderful). It was also a gloomy, rainy day, which for whatever reason are my favorites, and it was perfect spring weather instead of the snow we had in March and even April. I learned to stop doubting God because waiting does not mean He isn’t working, or that nothing will happen. In fact, usually it is the opposite. I am still impatient—what will ever change, ha—but God showed me multiple times through this month how people I didn’t think would notice what I’m doing actually were, which showed me how He is working, and that just because I don’t see it or get the results when I want them, does not mean He isn’t. In fact, that’s usually when He’s doing the most on my behalf. And I have to trust Him and just relax. People are watching you. I’ve wrote about that numerous other times, but it’s worth repeating. I see it again and again. Going along with above, you never know what exactly God is doing behind the scenes. I was surprised immensely by something someone did for me without my knowledge of it, and—had someone not said something—probably would never have known. It just goes to show that God is doing things, and just because we don’t see it doesn’t mean it isn’t there. Faith is believing what is unseen, and as I got older and more cynical, I found this a challenge. But God was patient with me and gave me an abundance of reminders and instances like those where I was brought to my knees by His faithfulness and humbled by how little I really do know or see. Trust Him all the way—you can be sure that with Him, He is always fighting for you, regardless of what you see. <3 Isn’t that amazing and so humbling? It’s one of the most crucial things I learned and something I must remember daily when impatience threatens my peace. I became a sophomore and got freshman year done, which really did seem to fly—not that I’m complaining. I spent some really special time with family and cousins this month, since my immediate family ditched me for Canada, which after enjoying past years there, I had decided I was ready for a break of the fishing life. :’) I found out during this month also that I am going to have jaw surgery eventually. :/ Upon completing freshman year, I wrote about the biggest lesson I learned: how to control my thoughts again, something I had been careless about and payed the consequences for (read here). Read this complete post of the lessons I learned from those weeks with family as well as the fun experiences I got to try, like jet skiing! I learned just how important it is to be able to have people to talk to. I enjoy my cousins so much, and I really enjoyed spending time with them. It’s important to be able to have that time to relax and just enjoy companionship with other people, and it helped me renew my mind immensely that summer and better prepare me for sophomore year. Eating out with Mom after my last day of school and that glow of knowing I’m a sophomore and getting to talk with her about future plans. Sitting in my new furry white chair I got for my room and completely finishing it over the summertime (except for my closet, but if you can’t see it, it doesn’t necessarily count…that would be a this-year goal okay). The talks with my mom as we drive up to meet my grandparents halfway to their town, and spending a wonderful week by myself with them and making Grams walk their downtown trail and take my pictures, and then spending a few days with my cousin Kirsten and getting to go jet skiing. The feeling of the warm, morning summer air and the sunshine beaming down while cruising down the street on a bike with Gramps—so happy he can still ride bikes with me! Falling in love with the girls’ room decor section at Hobby Lobby because talk about pink and sparkles galore—what I live for. Doing an immense amount of daily reading because I bought tons of new books and wanted to finish off a series I loved, so I saved them for last to give me motivation to read all the books I needed to. I spent a lot of time with family, mainly, which was very nice. I went to a swimming class with my grandma, which I always love, and then we ate out and went shopping, my favorite things in life! A big store at the outlet mall was also going out of business, so EVERYTHING was on sale and she bought me a wonderful Michael Kors sweater that was under $20 I believe. :) I also wrote about what I learned from reading all those books I bought the previous month—very interesting things, I promise ;) (read here). Getting to swim, shop, and eat out with my grandma. At her Y, she had a meeting the night before the class because I spent the night, and so I went upstairs and walked around this track that overlooked the rest of the Y—which I love, by the way. I thought only walking would not phase me because how active was I really being? But this was at the time I was not doing anything exercise-wise, and I think I walked maybe about three miles total. MY HIPS WERE SO SORE THE NEXT DAY. I basically floated my way through the class the next day; EVERYTHING HURT. But I remember dreaming about working out in college one day and just how much I enjoy being active. I also remember these mirrors I walked by at a certain point, and I would always check out my outfit because I am conceited and also because I plan my workout outfits as much as my real ones. :’) I also loved getting to eat Mexican food with my grandma and having fun looking through all the fashions at the mall together. Those are the types of memories that won’t fade away. ALSO SHOPPING WITH MOTHER AGAIN!!! I could never shop too much. We went to an outlet mall again, one of our favorites down in Williamsburg, because she needed something as a gift for someone, and hey, I’m just along for the ride!!! We got some really awesome deals on stuff, though. That obnoxious—no, BEAUTIFUL—pink winter coat I have from Columbia? We got that for under $25. My life has become dedicated to finding good deals on expensive items, and I don’t regret it one bit. ;) Also, you all should pray that my future husband will shop with me one day because that’s just essential. ;) Everyone I love will shop with me, so he better! And besides, my father and brother, if you put them in Cabela’s, they are there for HOURS. At least an hour, minimum, every time. As long as it’s what they want, they’re all for it! I began working out daily, something I found to be very beneficial. I spent a lot more time with family again. I began my sophomore year of high school! 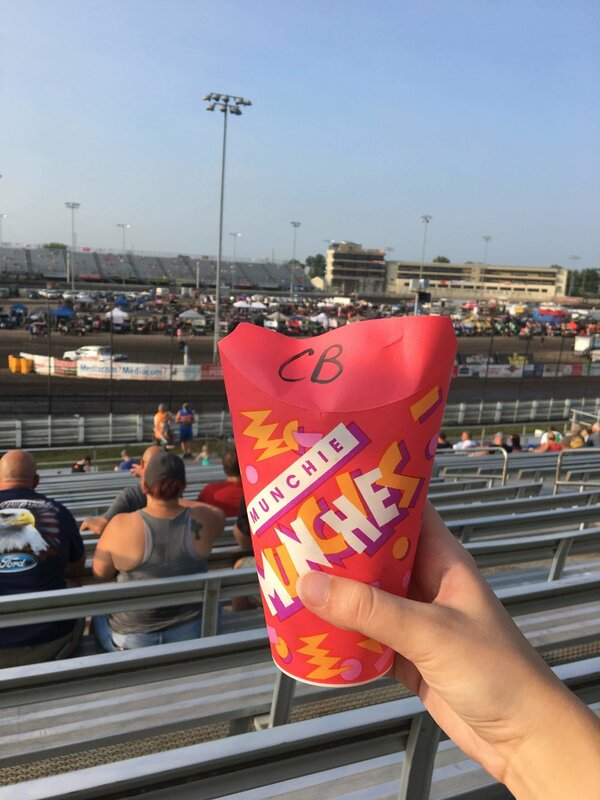 I recapped going to the Knoxville Nationals with my family in this post, as well as the deep themes about life I noticed while there. Also, this prayer I wrote in this post about me entering 10th grade, basically sums up the biggest lessons God taught me throughout the year and in my whole life, really. If you only ever read one other blog post of mine, I would definitely read that one because of how God spoke to me through those lessons and how it’s really changed my life for the better. Working out is great for you not just physically, but mentally. I’d made it a goal to do a workout every night—nothing fancy, just simple toning exercises, and it’s definitely been worth it. I’d heard that exercise can strengthen someone psychologically, and I can definitely confirm that. It quiets the noise and makes you feel like you’re doing something, which you are, so it’s a total win. 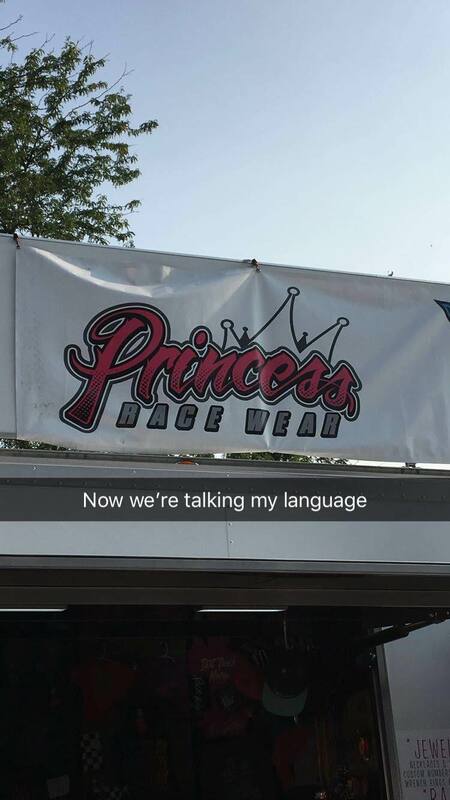 Going to the Knoxville Nationals as a family and with some friends and enjoying the buzz in the atmosphere as well as the great food and just taking in a fun event on a perfect summer evening and night. I began driver’s ed, which was not one of my favorite times of the year, but it needed to be done. I still got to see family again this month a lot—which is nice, because they really are so important, and we learned that this year especially while enduring one of the hardest losses. I got to go to Iowa City to consult with my doctors about jaw surgery, and while that reality is not one I like to think too hard about, Mom and I went shopping!!! :) I didn’t break the bank, though. And we went to a hockey game!!! Comparison really is a waste of time. I struggled with so much insecurity near the beginning of sophomore year, thoughts left over from freshman year, and I compared myself relentlessly to other people—with beauty, talents, just about everything. And I would get irritated when people would tell me to just stop doing it because I felt like I had to or have what the other people had, or I wasn’t good enough. But that really is a lie. Reading some books from people and hearing other people authentically talk about this—who were some of the people I had actually compared myself to—opened up my eyes about this. Even the most seemingly successful people compare themselves, and just because someone else is pretty or successful or talented or whatever it may be, does not mean you aren’t. Believe in what God promises. I had to be so intentional about my thinking or else it would take over like I let it back as a freshman. I had to make the choice to trust God even when I felt upset or just didn’t feel like I could trust Him. I had to specifically write down what I knew to be true because He had shown me that through relentless praying throughout my life and cling to that. And that really does help fix your thinking, is by fixating on Him. Sitting on the couch talking with cousins and my grandparents; there is something so special about being in the presence of warm, genuine people like that. Standing by my WINDOW at Wells Fargo! There’s this window in Wells Fargo (well, the whole arena has a panoramic view of outside, which is awesome haha) that I love and always must see because the river and bridge over it is so beautiful, I can’t even. I passed driver’s ed, thankfully! I was stressed out a lot about things, but God helped me through all of it and showed His faithfulness again and again, as well as perspective. How many of those things really changed my life in a drastic way that I’d worried about? None. I wrote more on this here, as well as more lessons I’ve shared. I learned not to compare myself to illusions. This goes along with what I was saying with comparison up above. It truly is meaningless to do so because especially in this digital age, everything can be made to look perfect. But don’t get caught in that trap. Most of the stuff, like images, you see online or on social media especially are edited to perfection. I know I got really caught into this with my looks. I would constantly see images of girls who looked amazing and then feel terrible with how I looked naturally. But that’s why comparing yourselves to others is a joke. You don’t see what really goes on behind the scenes or, more specifically, in their heart. People who feel the need to pretend are also very unhappy people, I can promise you that. It’s not bad to want to look nice or present yourself well, but again, it’s about that balance and still being authentic and relatable with others. Remember the things God has done for you when you face feelings of doubt. I began to worry a lot about my future at this time and just getting impatient about when things would come, if ever. But I had to remind myself of all the wonderful opportunities and people God had already put in my life, and I didn’t even have to DO anything for them. It’s the same with those other things. He will surprise you when you least expect it, and you won’t have to worry about orchestrating everything on your own. In fact, some of the most special connections I’ve had in my life came truly from Him—I didn’t even do anything to reach out or have these people in my life. The best things in life come from Him, so don’t try to force them yourself. Waking up and getting my dream curls in my hair just from being lazy and going to bed with my hair still up. November had some sad times as trials worsened, but what God taught me about my thinking was a pivotal moment for me. When I went HOLIDAY SHOPPING, I shared some of those lessons here. Write down what you know God wants you to believe, and then believe it. This changed my thinking way for the better when I did this. And I absolutely had to. Sometimes you have to be firm with yourself if you don’t want to just wish for better thinking. You can’t just hope you think better—that’s not enough. I had “hoped” to think better this year, so when my thinking still didn’t align with how I wanted it, that’s when I knew just wishing for it wasn’t enough. I HAD to take action and be intentional about seeking God and His will for my thinking. I wrote down everything He had laid on my heart in response to the insecurities I faced and had my mom read them over as well. And I reread them when I get down again. THEY HELP IMMENSELY. It’s all about perspective. Don’t let your thoughts run wild—you have to be conscious about what you believe. Doing this is what has made my thinking so much better now than where it was. And all glory to God for that and for changing my mind. I’ve learned that there’s definitely a balance: while the world will put thoughts you don’t want in your mind, YOU DO NOT HAVE TO LET THEM STAY THERE. This is one thing I used to be so good at as a kid—would I get upset? Yes. But my perspective was always solid and I was able to focus on God and not let it bring me down for long. When I got older, I got lazy with that, and my thoughts ruled my life. But that’s happened long enough, and I begged God to show me how to get back to being optimistic again, and He did. Going to the mall AT NIGHT (<3) to pick up some things, and just wandering around the aisles with Mom. We didn’t actually buy anything unfortunately, but I want to go shopping at night sometime—the atmosphere is so tranquil compared to going in the day. This month was very sad as we lost my aunt to a long battle with cancer, but it was amazing to see how our family came together and trusted God with her ultimately because talk about putting life in perspective—that is what matters, and situations like that prove it. I also shared some thoughts on dealing with disappointment and hard things in life here. I’m not alone in how I feel, and neither are you. There are times I would get upset because I felt I was the only one who felt lonely or misunderstood, but I remember rereading a book I talked about here and how a girl similar to me felt the same way. And I’ve heard so many people say that they may feel that way, even though exteriorly they look to be happy constantly. Sometimes, though, those are the people who feel the most lonely. The wonderful anticipation and warmth of opening presents with the serenity of family. ✧ Pray more. One time in the summer when I felt overwhelmed by emotions, I took time to journal out my thoughts and a prayer over them. Wow, does that change the game. Praying helps hugely with perspective, and I love God so much and want to talk to Him always—I don’t ever want to be too busy for Him. ✧ Go on college visits and consider programs I would like. I CANNOT WAIT FOR JUNIOR YEAR AND COLLEGE VISITS! I definitely have an idea about where I want to go as well as what I want to major in, but I definitely want to take the time to ask each college tons of questions to make sure they will be a good fit for me and help me with my goals for my life. I also want to consider additional minors I could add to my major to make myself more marketable, especially since the major I want is very flexible and pairs well with other things. ✧ Finish my novel. This absolutely does need to happen this year—it’s been five years since I wrote a book now…which I’m embarrassed to say. I really need to get one done this year because this, like other things, is also about being intentional and just making the time to do it, even when I don’t “feel” like it. ✧ Write with a more real approach on this blog. I want to start blogging more about my actual life experiences and telling stories through them—like going to a hockey game! If you have anything specific you want to hear about, tell me!! ✧ Be intentional with social media. I want to take baby steps to growing on social media, like sharing old posts from here on Facebook, for example, or replying to more people on Twitter—and not worry about results. I also want to sincerely thank all of you for reading this blog and for supporting me. Just when I least expect it, someone will reach out to me and tell me about how my writing has impacted their life, just when I think it isn’t. And that humbles me so much—my dream for my whole entire life since I was only 8 years old has been to write and inspire people for God’s glory through that. And when I get caught up with impatience, I forget that this dream is literally being fulfilled right in front of me thanks to God and you all. So thank you, so much. I pray you all have a wonderful year and that you cling to the hope of Jesus above all because I promise you that with Him, nothing else in this life can bring you down. <3 Thank you all again!! Last weekend my mom and I headed up to the Altoona outlet mall for some Christmas shopping. We did this last year when it first opened, and they had some new stores I was elated to check out. My mom also wanted to stock up on Christmas Bath & Body Works products! I had a blast with her and am so grateful we got to go. My mom is not a big shopper whereas I totally am, but I think it’s starting to grow on her. ;) I’m working on her haha. Once I can get her to go Black Friday shopping we’ll be great! But we both agreed that this outlet mall is practically better than the actual mall… I just find that the overall layout and setup is so much nicer, and since it’s an outlet obviously there’s a lot better prices. I’ve even found that there tends to be cuter products here. However, over the weekend I dealt with some wonderful mood swings. You know, the stereotypical teenage girl emotions that oftentimes make me forget every life lesson God has ever taught me INCLUDING one I JUST wrote about in this post here, that is, about learning to control my thoughts! But that is part of the ups and downs of life, is struggling with things, and unfortunately, especially at this time in my life called growing up, controlling my thoughts is probably going to be something I have to be conscious of. But I’m not going to give up even when I fail because God in His grace has ALSO taught me things to do when I feel like my thoughts are turning bad. Obviously being conscious of taking them to Him, like I talk about here, and reading His Word, which I talk about here, are critical—you’ll never get a grip on your thought life without those first and foremost. But I also have some new tips I have yet to share that I thought I’d go over. I think I may have potentially mentioned this in this post here, but it’s something that has helped me with praying, for one. If you read the post I linked up above about praying your thoughts to God, I talk about how sometimes doing that is a struggle for me, especially the bad thoughts, because I think we get these ideas in our heads that we shouldn’t say our negative thoughts to God, but that’s far from true (1 Peter 5:7). But if you do struggle with being real and honest with Him about negative thoughts, especially if you are just starting to do that and are uncomfortable with it, I’ve found that for me, it helps if I journal my thoughts first, and then I can go over them. Sometimes I write a prayer in response to them. Sometimes, if I’m really worked up, I take a day to just write about it as a form of release and then wait another day, and it helps put those thoughts in perspective (especially when the cause is hormones, which it often is!). I think journaling is a therapeutic tool on its own, and just because you try journaling doesn’t mean you have to write well at all or that you even have to write in complete sentences. Sometimes when I’m lazy, I just do the bullet journaling method and make lists of my thoughts to save time. But I definitely recommend this; it helps put things into perspective, and looking back over the years helps you witness and observe God’s faithfulness, which is pretty cool! Going along with journaling, this is why I believe it can also help: you can learn from your old feelings and mistakes so you don’t keep getting imprisoned by them. Managing my emotions is nothing new to me. I’ve been blogging since I was 11 years old, and the insecure feelings I tend to feel even now were present in my life clear back in sixth grade, and guess what? I wrote about the truth to combat those thoughts right here, back when I was 12 years old. Looking back on those lessons helps put my thoughts in perspective and to remember what God has already taught me. The same things may still tempt me, but I don’t have to give in. I have tons of notes scattered throughout my phone, and making the time to look through those gives me an immense feeling of peace and overwhelming joy for God’s glory about what He’s taught me. Here’s another tip that surprised me at how well it lifts my mood: sometimes in life, the best thing to do when you have negative thoughts and feel moody is to just stop and reflect on what God has already done for you and wait for those gloomy moods to pass. One of the best ways I’ve found for me to do this is to look through my old pictures. Looking through old photos brings back so many memories for me and reminds me of all the special times God has blessed me with in life. I do this when I feel anxious, depressed, you name it, it helps with about all of that. Pretty soon I am filled with a true joy that comes from enjoying each moment God has given me, and I believe that’s why remembering (and taking five million photos) is so special. I’m going through the Old Testament in my Bible study now, and many of those books can get repetitive as they go over everything God has done that I’ve already read about, but it shows the beauty of people remembering that and aligning their hearts with His, and that’s why we do that. Another thing that sort of goes along with looking through old photos is looking through old quotes I’ve saved. I have screenshotted so many quotes on my phone, which is actually nice because they show up with all of my photos, so I can look through all of them. And I have a folder on my laptop full of my favorite quotes. Sometimes, you just have to stop and remind yourself of what you already know is true, and that’s why looking through Bible verses and Christian quotes is so helpful. I hope you are all enjoying the fall holidays! I hope these tips can inspire you as you deal with negative attitudes, and let me know which are your faves!